In the city of Louisville, Kentucky, there was a city ordinance that forbade any black individuals to own or occupy any buildings where a greater number of white individuals resided. In 1915, a man named Charles H. Buchanan, a white man who was selling his property, brought on a lawsuit against William Warley, who was an African-American buyer, to convince Warley that he should complete the purchase of Buchanan's property. Warley argued that Louisville enacted an ordinance that disallowed African Americans from purchasing property in a mostly white neighborhood; in cases where the situation was reversed, white individuals would not be allowed to reside in neighborhoods where there was a black majority. ↑ Silver, Christopher (1997). "The Racial Origins of Zoning in American Cities". In Thomas, J. M.; Ritzdorf, M. Urban Planning & the African American Community: In the Shadows. Thousand Oaks, CA: SAGE Publ. ISBN 0-8039-7233-4. ↑ "Buchanan v. Warley". Cornell University Law School: Legal Information Institute. Cornell University Law School. Retrieved November 22, 2015. ↑ "Buchanan v. Warley". Justia. 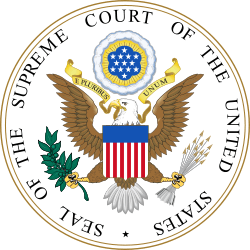 U.S. Supreme Court. Retrieved 22 November 2015. Nelson, Arthur C.; Dawkins, Casey J.; Sanchez, Thomas W. (2004). "Urban Containment and Residential Segregation: A Preliminary Investigation". Urban Studies. 41 (2): 423–439. doi:10.1080/0042098032000165325. Rice, Roger L. (1968). "Residential Segregation by Law, 1910-1917". Journal of Southern History. The Journal of Southern History, Vol. 34, No. 2. 34 (2): 179–199. doi:10.2307/2204656. JSTOR 2204656.